Lionel Chetwynd is arguably the most prolific creative talent in long-form television today. The remarkable volume of work from this Academy Award-nominated screenwriter during the 1990s is perhaps outshone only by the recognition and acclaim his work has received. From historical and biographical drama, to more contemporary fictionalized dramatic themes, Chetwynd’s rare versatility has made him one of the most in­ demand writer-directors in Hollywood. His meticulously crafted scripts have spawned some of network, cable and pay television’s most memorable movies and miniseries in recent years. The strength of the human spirit, man’s inhumanity toward fellow man, and values are common threads running throughout much of Chetwynd’s work. The unrest in the Middle East, strife in Northern Ireland, the sacrifice of men and women who served in Vietnam, anti-Semitism, racial prejudice, the Holocaust, and politics are all among themes Chetwynd has boldly explored on the screen. For his screenplay adaptation for the 1995 Emmy Award-winning mini-series “The Bible: Joseph,” one of three Bible stories scripted by Chetwynd for TNT, he received a Writers Guild of America (WGA) Award nomination for Best Adapted Screenplay. He also adapted “The Bible: Jacob” and “The Bible: Moses,” the latter which received an Emmy Award nomination for Best Mini-series in 1996. 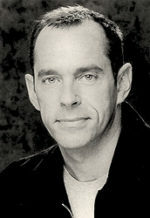 Other recent credits include “Ruby Ridge: An American Tragedy,” a four-hour mini-series for CBS; “Kissinger and Nixon,” for which Chetwynd received both WGA and Canada’s Gemini Award nominations for Outstanding Script; “The Man Who Captured Eichmann, a movie for TNT which earned Chetwynd a CableACE Award nomination; SHOWTIME’s “Color of Justice,” for which he was nominated for a WGA Award for Movie or Mini-series and a PEN USA Literary Award nomination for Outstanding Screenplay. More recently, Chetwynd penned “P.T. Barnum,” a four-hour miniseries for Hallmark Entertainment and A&E, and “Tom Clancy’s Netforce,” a four-hour miniseries for ABC. In addition to his dramatic long-form writing-producing work, Chetwynd is a creator and executive producer of “National Desk,” the provocative, highly­ acclaimed series of public affairs specials and documentaries for PBS. A hard-­hitting, reporter-driven series designed to address patterns in American life which are subtly eroding. the nation’s common culture, “National Desk” has recently been renewed for a third season. The series is a production of Whidbey Island Films, in which Chetwynd is partnered. Lionel Chetwynd was born in London, England, and moved to Canada at the age of eight. Growing up in Toronto and Montreal, Chetwynd then joined the Black Watch, Royal Highland Regiment of Canada. After completing service with the Black Watch, Chetwynd took the entrance examination for Sir George Williams University in Montreal. Despite having never completed secondary school, his exceptionally high scores gained him admission to the University, from which he graduated as Valedictorian after only three years. Chetwynd was then awarded a scholarship to McGill University Law School in Montreal. In his final year at McGill, his skill as a World Champion debater led him on a debating tour of sixteen British universities. While debating at Oxford University, a member of the faculty, so impressed with Chetwynd’s talents, invited him to complete graduate studies on law at the University the following year, allowing him to gain the unusual distinction of attending the venerable institution without ever having completed high school. It was in England that Chetwynd entered the entertainment industry, getting his start in the acquisition/distribution arm of Columbia Pictures in London. He remained with Columbia Pictures from 1968 through 1972 but he had already begun to expand his horizons with freelance writing assignments and then his first produced work, .. Maybe That’s Your Problem,” which was staged in London’s West End in 1971. Later that year, he wrote “Bleeding Great Orchids,” which was also staged in London and subsequently Off-Broadway in New York. 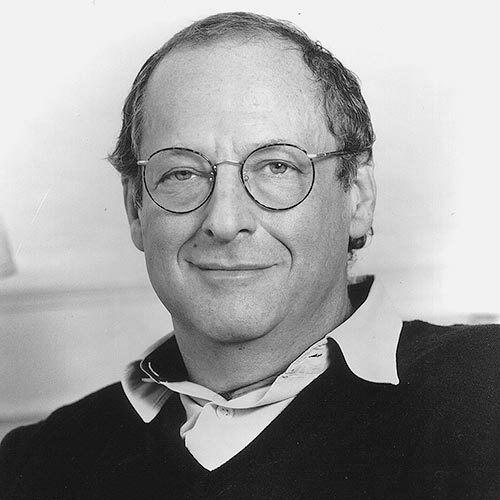 While in England, Chetwynd wrote the motion picture screenplay adaptation for “The Apprenticeship of Duddy Kravitz,” for which he received an Academy Award9 nomination (Best Screenplay Adaptation) and the Writers Guild of America Award for Best Feature Comedy. Subsequent feature films written by Chetwynd include “Morning Comes,” which he also directed; story credit for “Quintet,” directed by Robert Altman; and “Two Solitudes,” which he wrote and directed, and which received the Grand Award at the Salonika Film Festival. It was Chetwynd’s 1987 feature, “The Hanoi Hilton,” which he wrote and directed, that gave testament to his dogged perseverance and dedication to projects in which he strongly believed. This enormously powerful and very moving true story of American POWs in North Vietnam’s infamous Hoa Lo Prison took Chetwynd ten years to get produced, and became one of the year’s most controversial motion pictures. It was hailed and assailed by the nation’s movie critics but was universally embraced by the most important critics of all -the men and women of the Armed Forces and the POWs whose story it told. He followed them with the Emmy Award-nominated GE Theater presentation of “To Heal A Nation” for NBC, the story of the building of the Vietnam Veterans Memorial. Among Chetwynd’s other credits are “Sadat,” which received an NAACP Image Award nomination; “Escape From Iran: The Canadian Caper”; and “Children in the Crossfire,” which was set against the conflict and turmoil of Belfast, Northern Ireland, in the 1980s. “Children in the Crossfire” was honored at the Monte Carlo International Television Festival and also received the Prix D’Association Mondiale Des Amis de L’Enfance. 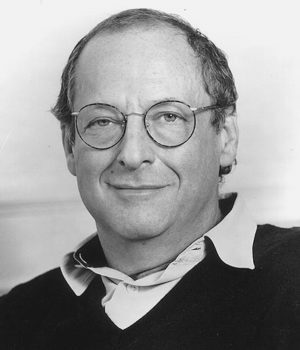 He also wrote “Miracle On Ice,” which was honored with the prestigious Christopher Award; “A Whale For The Killing”; “Goldenrod,” for which he received several Canadian Film Award nominations; “It Happened One Christmas,” which received a Citation from American Women in Film and Television; and “Johnny, We Hardly Knew Ye,” which he wrote and produced, and for which he received the Freedom Fund’s George Washington Honor Medal. A British-born, Canadian-raised, naturalized U.S. citizen, Chetwynd can also take pride in having written “The American 1776,” the official United States Bicentennial Film In 1987, he was commissioned by the We The People/2000 Constitutional Foundation to create and write a special tribute to the U.S. Congress as part of the nation’s year-long Constitutional Bicentennial celebration. The prestigious event was staged before members of the U.S. Congress and members of the Supreme Court. 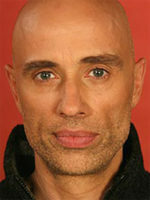 Chetwynd has been a member of the faculty of New York University’s graduate Film School, a lecturer on screenwriting for the Frederick Douglass Center in Harlem and at UCLA, a member of the Canadian Bar Association, and has served in numerous committees for the Writers Guild of America and other industry organizations. Married to motion picture, television and stage actress Gloria Carlin (who portrays Bella Chagall in VARIAN’S WAR, the couple have two sons, Michael and Joshua, and make their home in Los Angeles. In spite of the demands of his profession, Chetwynd continues to contribute time and energies as a Board member of The Vietnam Veteran’s Memorial and the American Cinema Foundation. While Los Angeles has long been his home, there remains a part of Chetwynd’s Canadian upbringing which he continues to enjoy – ice hockey, played mostly with transplanted northerners on an indoor rink in Los Angeles. Chetwynd is fluent in French. Also see: Lionel Chetwynd’s filmography. This biography is copied from the 2001 Odeon Films media release for the film Varian’s War which costarred William Hurt, Julia Ormond and Lynn Redgrave.